Explore the elegance of the progressive era of Afghanistan in the magnificent Royal Afghan Hotel. 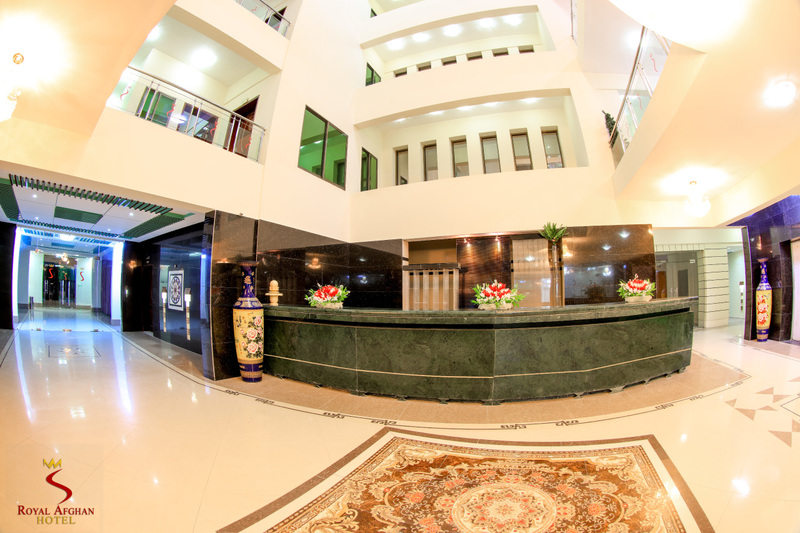 Our four-star hotel is situated in the heart of Kandahar city. Kandahar International Airport is around 20 minutes’ drive away. From the welcoming ambiance in the lobby to our 129 exquisite rooms and suites,a stay here is a truly wonderful experience. Enjoy the comforts of a coffeemaker, 42-inch TV, mini-fridge, air conditioned rooms and free Wi-Fi. Relax with various brands of tea in the Wakhan Tea Lounge and dine in Afghan splendor at our Restaurants, which offers delicious international buffets. Opt for exotic Afghan cuisine indoor and outdoor. Boost your wellbeing in the Fitness Centre and unknot with a Sauna Bath at The Spa. A swimming pool and a Jacuzzi complete our wellness facilities. For meetings, training seminars, banquets and weddings in Kandahar, we have five elegant venues with splendid lighting decor. Individual functions for up to 2500 guests can be hosted.